Is Putin Being Honest and Accurate about the Benefits of Russia’s Flat Tax? February 5 Addendum: For my left-wing friends and others who are bending over backwards to misread this column, saying nice things about Russia’s flat tax doesn’t mean (as noted below) that Russia’s overall economic policy is admirable. 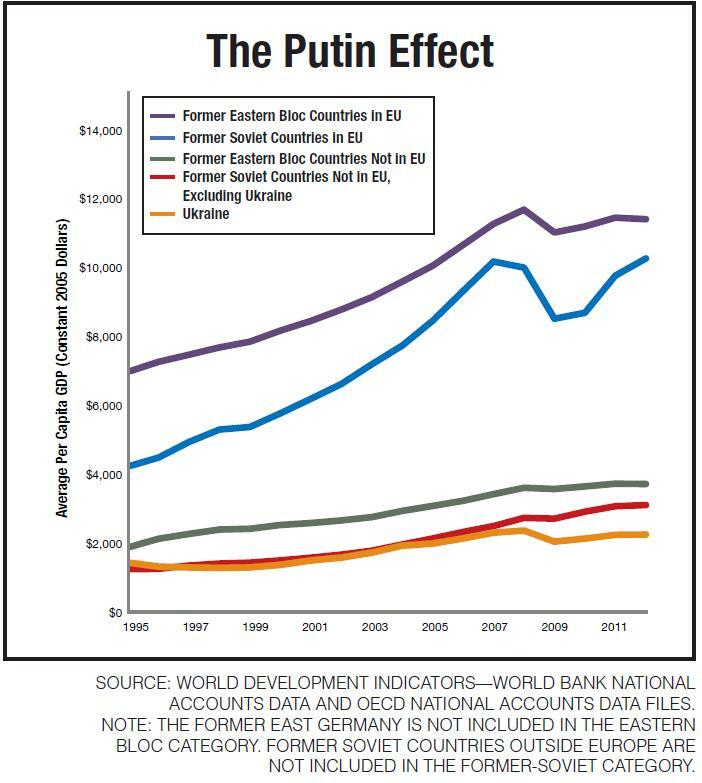 And it obviously doesn’t imply anything favorable about Russia’s dismal political system or Putin himself. 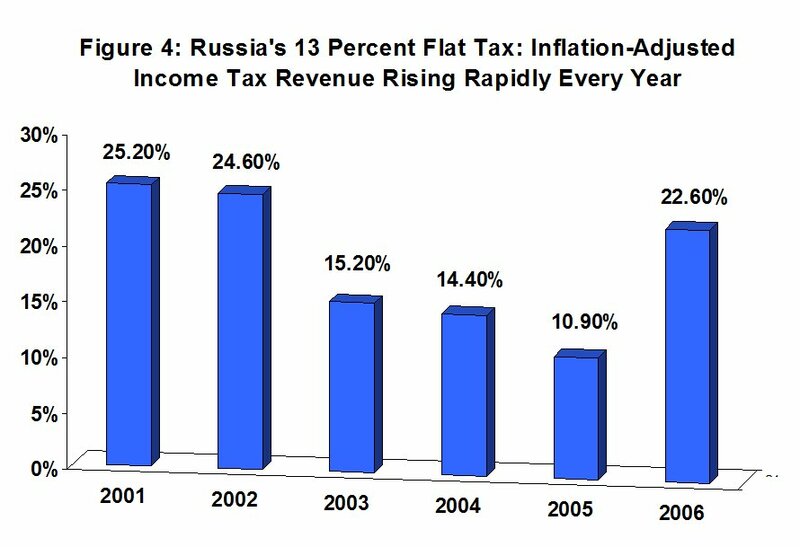 I like the Russia flat tax for the same reason that I like trade liberalization in China and Social Security reform in Chile. Every so often, bad governments stumble upon a good policy and I think that’s laudable because I want people to have better lives. Sadly, I don’t think the Putin-Trump “bromance” will lead to a flat tax in the US, but that would be an unexpected and nice silver lining to that dark cloud. I’m obviously a big fan of a simple and fair flat tax. In part, my support for fundamental reform is driven by my desire for a low rate, for no double taxation, and for the elimination of loopholes. Those are the economic reasons for reform. But I also am very much motivated by the moral case for tax reform. It offends me that we have 70,000-plus pages of special favors for the friends and contributors of politicians. I value the rule of law, so I want everyone in America to play by the same rules. And I confess that I’m jealous that other nations have adopted this common-sense reform while we’re still stuck with a punitive and unfair internal revenue code. But the silver lining to this dark cloud is that we can learn from the experiences of other nations. A recent report looks at what’s happened in Russia following the introduction of the flat tax. I appreciated the chance to talk to the reporter and get quoted in the story, but I am naturally suspicious about the claims of government officials. 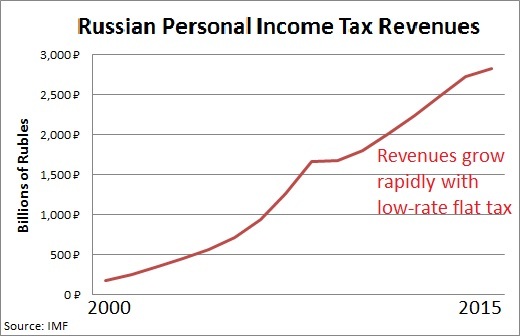 So I wondered about Putin’s claim about a seven-fold increase in income tax receipts. I know there were good results in the first few years after reform. I authored a study for the Center for Freedom and Prosperity last decade, and there was data at the time showing an impressive increase in revenues from the personal income tax. That data certainly bolstered the argument for tax reform. But we now have almost another full decade of data. Has the Russian flat tax continued to produce good results? Is the low tax rate continuing to encourage both the earning of income and reporting of income? To answer these questions, I had my intern cull through various IMF Article IV consultation reports on Russia to get up-to-date data on personal income tax receipts in Russia. And what did I learn? Was Putin wrong? Yes, Putin’s claim of a seven-fold increase in tax receipts was completely misleading. There was actually a 10-fold jump in personal income tax revenue. In other words, the flat tax is a success. In today’s Washington, you would say the Russian government is winning bigly. Russia has experienced significant inflation, at least compared to the United States. So if you factor out increases in the price level, personal income tax revenues are “only” about three times higher today than they were before the flat tax was implemented. Moreover, a flat tax is not a panacea. Notwithstanding the good results it has delivered, Russia has an unimpressive ranking of #102 from Economic Freedom of the World. In other words, there’s still a long way to go if Russia wants to become a rich nation. But these caveats don’t change the main conclusion, which is that the Russian flat tax works. Just as it works in Hong Kong. And just as it works in Jersey. It works wherever it is tried. Let’s look at another example. Writing for Forbes, Fahim Mostafa explains that the Hungarian flat tax also has been a big success. A fair number of Eastern European nations have…chosen this system of taxation over its progressive counterpart. Among the latest to join this club is Hungary, replacing progressive rates from 17% to 32% with a flat tax of 16% on income effective from 2012 onward… There is reason to believe that the implementation of this system has largely benefited the Eastern European nation. …The results from the following years have been remarkable. Total government revenue in 2015 (the last year for which OECD data is available at this time) stood at 23.8% higher than the maximum prior to the flat tax reform… According to the OECD, public debt in Hungary has been decreasing steadily since 2011. Increased revenues allow for this debt to be paid. …The flat tax has boosted consumption in Hungary, greatly increasing taxes collected from sales. Total tax revenue has shot up despite the massive cuts made to income tax. Politicians seeking to implement this policy in their own nation would do well to point out the example of Hungary. First, the same caveats I applied to Russia apply to Hungary. The country is ranked #57 from Economic Freedom of the World, so it’s great that there’s a successful flat tax, but a lot more reform is needed for Hungary to become a role model for overall market-friendly reform. Yes, every so often you can find examples of nations being on the downward-sloping portion of the Laffer Curve, either because tax rates are ridiculously high (the U.S. before Reagan) or because a nation is developing or transitioning and needs low tax burdens to boost growth and encourage compliance. It’s never my goal to boost revenue for governments, of course, but there’s surely a lesson to be learned about the benefits of low tax rates when both taxpayers and the government wind up with more money. P.S. If we really want to learn from other places about the ideal tax system, we should check out Bermuda, Monaco, and the Cayman Islands. Whenever I need to explain the difference between socialism and capitalism, I start by noting that socialism technically is different from Obama-style big-government redistributionism and cronyism. Socialism involves something more pervasive, involving government ownership of the means of production (which, if you read this postscript, is why Jeremy Corbyn in the United Kingdom is far more radical than previous Labour Party leaders). It also means eviscerating the competitive price system as a means of determining value and allocating resources, relying instead on politicians and bureaucrats to arbitrarily wield that power (some American politicians favor this latter approach in certain circumstances). Needless to say, socialism has an unmatched track record of failure. It was such a disaster than only a few supposedly high-ranked academics (see this postscript) thought it worked. But what about high-ranked communists who grew up under socialism. Did they think it worked? The Houston Chronicle dug into its archives to produce a story about an incident that may have played a big role in history. It’s about a senior communist functionary who was exposed to a slice of capitalism. Yeltsin visited mission control and a mock-up of a space station. According to Houston Chronicle reporter Stefanie Asin, it wasn’t all the screens, dials, and wonder at NASA that blew up his skirt, it was the unscheduled trip inside a nearby Randall’s location. 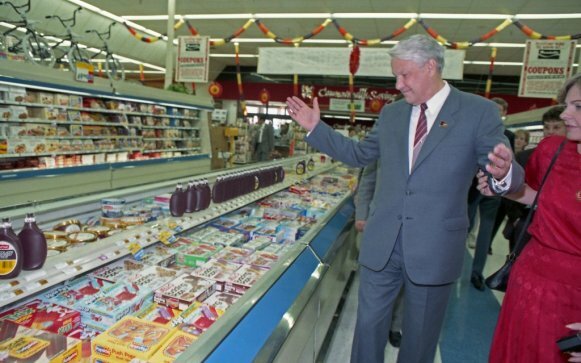 Yeltsin, then 58, “roamed the aisles of Randall’s nodding his head in amazement,” wrote Asin. He told his fellow Russians in his entourage that if their people, who often must wait in line for most goods, saw the conditions of U.S. supermarkets, “there would be a revolution.” …In the Chronicle photos, you can see him marveling at the produce section, the fresh fish market, and the checkout counter. He looked especially excited about frozen pudding pops. “Even the Politburo doesn’t have this choice. Not even Mr. Gorbachev,” he said. This random trip to a typical supermarket may have changed history. Since the Soviet Union was mired in poverty at the time, Yeltsin presumably was speculating about the potential wealth of his country. But the bad news is that Russia (the most prominent of the 15 nations to emerge after the crackup of the Soviet Union) is a laggard on economic reform. There was a shift away from close-to-pure communism in the 1990s, to be sure, but the country still has a long way to go before it can be considered capitalist. Here’s a back-of-the-envelope “statism spectrum” that I created. 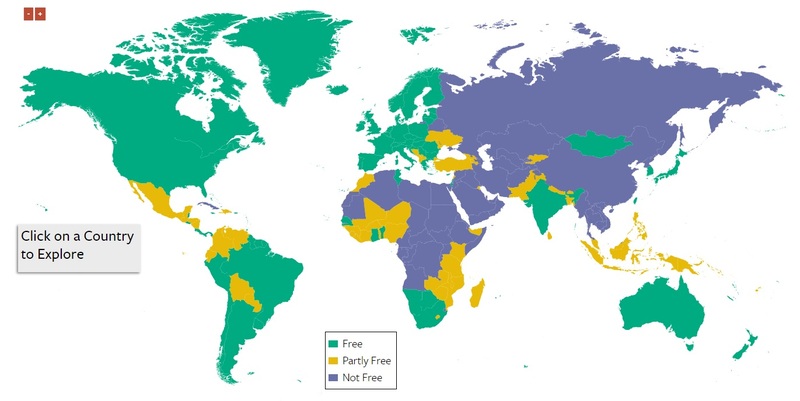 It’s designed to show that there are no pure libertarian paradises, not even Hong Kong. And there are no pure statist dystopias, not even North Korea (though that despotic regime is as close to pure evil as exists in the world). Russia, I’m guessing, would be somewhere between China and Mexico. And this gives me a chance to close with an important point. Perfect economic policy almost surely is an impossible goal. But that’s fine. We can still enjoy good growth so long as we strive to at least move in the right direction. As I explained back in 2012, the private sector is capable of producing impressive results so long as it has sufficient breathing room to operate. P.S. If you want a simpler and more amusing explanation of different economic systems, here’s the famous “two cows” approach. P.P.S. The United States isn’t a socialist nation, but we’re not fully immune to that destructive virus. After all, we have a government-run rail company in America, a government-run postal service, a government-run retirement system, and a government-run air traffic control system, all things that would function far more efficiently in the private sector. The polling data I shared last month about confused young people was a bit of a downer, so let’s look at three different polls that are a bit more encouraging. 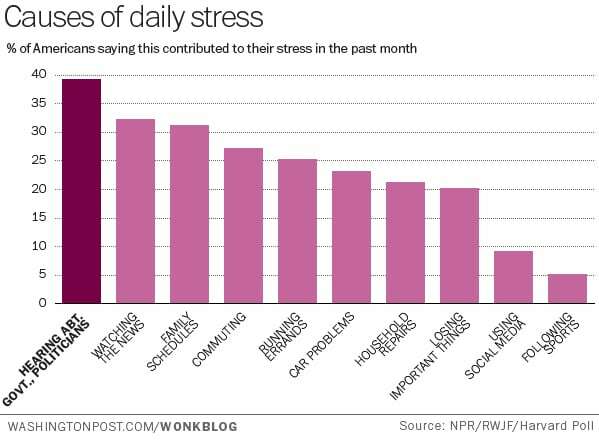 First, I’m glad to see that many Americans feel that government and politicians are their leading cause of daily stress. Here’s some of what the Washington Post reported on this poll. …much of that emotional response is completely justified. As if it weren’t enough that our politicians are actively working to harm the global economy and otherwise failing to do their jobs or even show up for work in general, they’re also stressing everyone out with the astonishing breadth and depth of their incompetence. And since high stress is linked to shorter life expectancy, they are also literally killing us with their incompetence. In other words, thanks, Obama (and everyone in Congress too). My job is to connect the dots so that people understand that the only way to reduce stress is to make government smaller. And, for what it’s worth, that’s the best way to make government at least semi-competent. Our second batch of polling numbers come from Rasmussen. I’ve shared research and data on the negative impact of redistribution spending (as illustrated by this powerful chart), but I figured most Americans didn’t understand that such programs trap people in dependency. I’m glad to read that I’m wrong. In an article entitled, “49% Believe Government Programs Increase Poverty in America,” Rasmussen reports the following. Most Americans still believe current government anti-poverty programs have no impact on poverty in this country or actually increase it. A new Rasmussen Reports national telephone survey finds that a plurality (44%) of American Adults still think the government spends too much on poverty programs. The Rasmussen folks also have this encouraging bit of public opinion research. A new Rasmussen Reports national telephone survey finds that 67% of American Adults think there are too many in this country who are dependent on the government for financial aid, up slightly from 64% in September of last year. Our third set of polling numbers come from the periodic Reason-Rupe poll. I’ll share several pieces of data, but here are the numbers I find most encouraging. Apparently most people realize that pro-growth policy is the right approach, not class warfare and redistribution. In terms of economic policies, 74 percent of Americans would like Congress to focus on policies to promote economic growth, while 20 percent favor policies to reduce income inequality. I guess I’m also happy about these results, though I can’t help but think that there are some very confused folks in the Tea Party. Fifty-five percent of Americans tell Reason-Rupe they have a favorable opinion of capitalism. Meanwhile, 36 percent of those surveyed, including 33 percent of independents and 26 percent of self-described Tea Party supporters, have a favorable opinion of socialism. I don’t even think Obama’s a socialist, so these ostensibly anti-Obama folks apparently favor even more government than our statist President. Go figure. Last but not least, I should like this result, but I’m actually disturbed since the margin is much smaller than it should be. When asked about the size of government, 54 percent of Americans favor a smaller government providing fewer services. Forty-two percent favor a larger government providing more services. P.S. Remember when I warned that the one downside to personal retirement accounts is that future politicians might steal the money? Well, it’s happened again according to Reuters, this time in Russia. Russia’s government has approved a plan to use contributions to employees’ privately-managed pension funds to plug budget holes for a second year running. The move was confirmed by Labour Minister Maxim Topilin on Tuesday in comments published on the ministry’s website. It has been heavily criticised by some officials and analysts, who say it will hurt the pensions industry and financial markets. P.P.S. I was beginning to feel a bit more positive about the Tory-led government in the United Kingdom, particularly after reading about some well-designed welfare reform, significant corporate tax cuts, and postal service privatization. Then I read something awful. And what could be worse than imposing a death tax on people who are still alive. Savers could be forced to pay inheritance tax while they are still alive, under a new drive against tax avoidance planned by the Government. …Under plans put out for consultation, HM Revenue & Customs would have powers to subject people minimising inheritance tax to “accelerated payment” laws, meaning they would be forced to pay up front if officials suspect them of using new schemes to avoid tax. Experts have warned that under the rules, taxpayers will be treated as “guilty until proven innocent”. …there will be concerns that innocent people could be investigated and made to pay large sums before they are able to defend themselves. …Economists, tax experts and Tory MPs have called for reform of the tax, warning that it predominantly hits middle-class families. Shame on David Cameron for allowing this to happen. But I’m not surprised given the government’s track record. And what else would you expect from a government that brainwashes children to rat out their parents and also puts despicable Orwellian ads on subways and trains? Senator Rand Paul is being criticized and condemned by the Washington establishment. That’s almost certainly a sign that he’s doing the right thing. And given the recent events in Russia and Ukraine, we should say he’s doing a great thing. This is because Senator Paul is waging a lonely battle to stop the unthinking and risky move to a world where governments – including corrupt and evil regimes – collect and share our private financial information. I’ve written about this topic many times and warned about the risks of letting unsavory governments have access to personal information, but the Obama Administration – with the support of some Republicans who think government power is more important than individual rights – is actively pushing this agenda. The White House has even endorsed the idea of the United States being part of a so-called Convention on Mutual Administrative Assistance in Tax Matters, even though that would require the sharing of large amounts of personal financial data with thuggish and corrupt regimes such as Argentina, Azerbaijan, China, Greece, Mexico, Nigeria, Russia, and Saudi Arabia! I’m sure Vladimir Putin very much appreciates this insider access so he can monitor dissidents and track political opponents. His government even signed onto a recent G-20 Communique that endorsed automatic information-sharing. Heck, there’s even a Russian heading up the Financial Action Task Force, which is endlessly pushing to give governments untrammeled access to private information. FATF even wants banks and other financial institutions to spy on customers, regardless of whether there’s the slightest evidence of any wrongdoing. The general mindset in Washington is that we should all bury our heads in the sand and blithely allow this massive accumulation of power and information by governments. After all, Putin and other thugs would never abuse this system, right? Fortunately, at least one lawmaker is trying to throw sand in the gears. 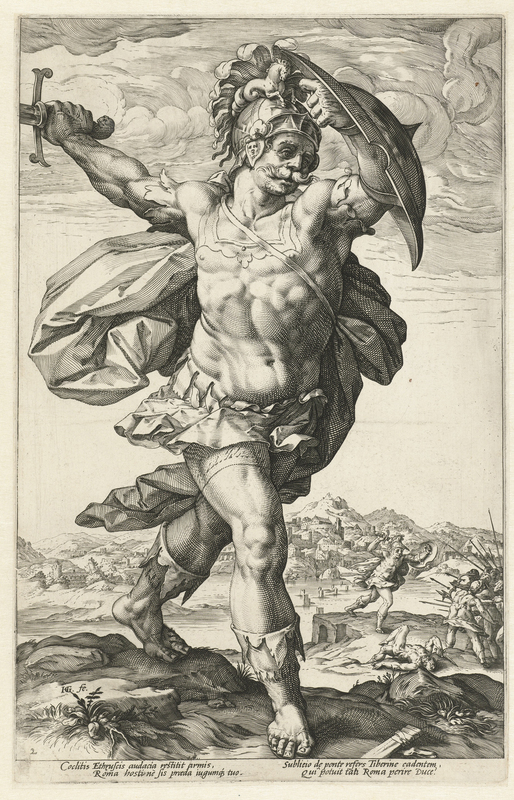 Like Horatius at the bridge, who single-handedly thwarted an invasion of Rome in 509 BC, Senator Paul is objecting to this massive invasion of privacy. He has this old-fashioned appreciation for the Constitution and doesn’t think government should have carte blanche to access private financial data. He even – gasp! – thinks that government power should be restrained by the 4th Amendment and that there should be due process legal protections for individuals. No wonder the DC establishment doesn’t like him. One example of this phenomenon is that Senator Paul has placed a “hold” on some tax treaties. Here are some excerpts from a recent article in Politico. Paul for years has single-handedly blocked an obscure U.S.-Swiss tax treaty that lawmakers, prosecutors, diplomats and banks say makes the difference between U.S. law enforcement rooting out the names of a few hundred fat-cat tax evaders — and many thousands more. …International tax experts for years have seethed over Paul’s block on the Swiss and several other tax treaties. These sorts of mundane tax protocols used to get approved by unanimous consent without anyone batting an eyelash — until Paul came to town. These pacts are “mundane” to officials who think there shouldn’t be any restrictions on the power of governments. Fortunately, Senator Paul has a different perspective. The article also notes that Senator Paul is one of the few lawmakers to fight back against the egregious FATCA legislation. Paul’s protest is also linked to his abhorrence of the soon-to-take-effect Foreign Account Tax Compliance Act, which will force foreign banks to disclose U.S. account information to the IRS, and domestic banks to reciprocate to other nations’ revenue departments. …the senator has legislation to repeal FATCA and hesitates to support a treaty that enables a law he views as U.S. government overreach. I don’t know how long Senator Paul can withstand the pressure in his lonely fight for individual rights, but I’m glad he’s waging the battle. Even the Swiss government and Swiss banks have thrown in the towel, having decided that they have no choice but to weaken their nation’s human rights laws on financial privacy because of threats of financial protectionism by the United States. So let’s give three cheers to our modern-day Horatius, a very rare elected official who is doing the right thing for the right reason. For more information on the importance of financial privacy, here’s my video on the moral case for tax havens. P.S. I shared some good jokes about Keynesian economics a few weeks ago. 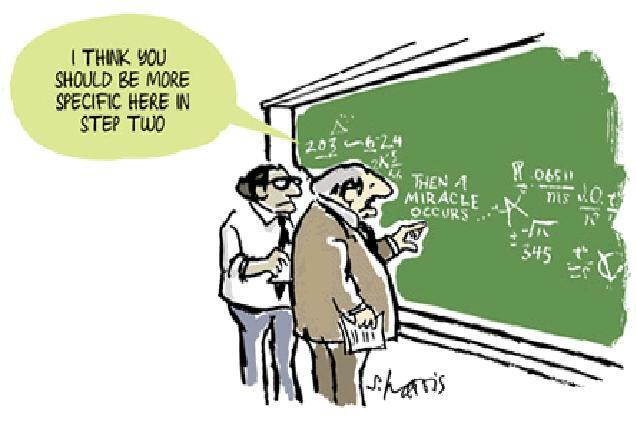 Now, via Cafe Hayek, I have a great cartoon showing the fancy equation that left-wing economists use when they tell us that the economy will grow faster if there’s a bigger burden of government spending. Now you can see how the Congressional Budget Office puts together its silly estimates. Indeed, Chuck Asay even produced a cartoon on CBO’s fancy methodology. The next step is to find the secret equation that CBO uses when it publishes nonsensical analysis implying that growth is maximized when tax rates are 100 percent. But to be fair, the politicians who pay their salaries want them to justify bigger government, so should we expect anything else? Ukraine is in the news and that’s not a good thing. I’m not a foreign policy expert, to be sure, but it can’t be a positive sign when nations with nuclear weapons start squabbling with each other. And that’s what’s happening now that Russia is supposedly occupying Crimea and perhaps other parts of Ukraine and Western powers are complaining. I’m going to add my two cents to this issue, but I’m going to approach it from an unusual angle. 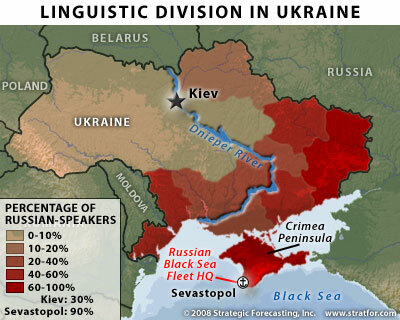 Look at this linguistic map of Ukraine. The red parts of the country show where Russian is the primary language and most people presumably are ethnically Russian. 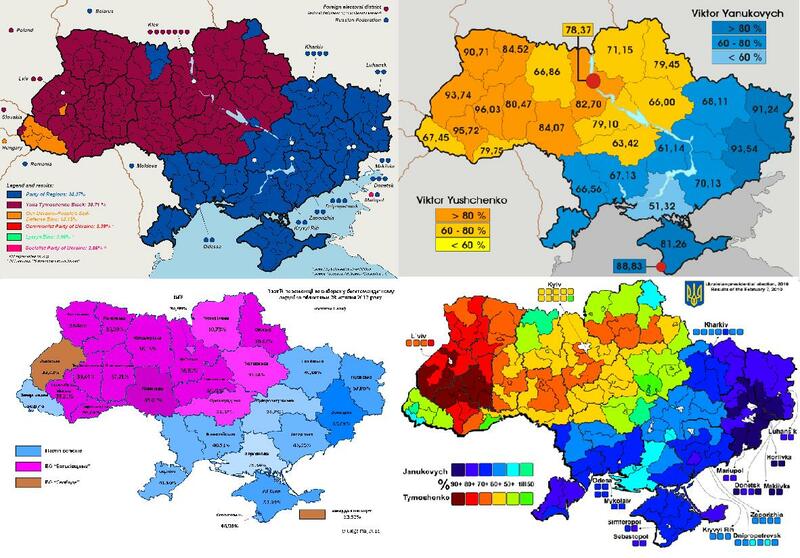 Now look at these maps (from here, here, here, and here) showing various election results in the country. Like I said, I’m not overly literate on foreign policy, but isn’t it obvious that the Ukrainians and the Russians have fundamentally different preferences? But is there a solution? And one that doesn’t involve Putin annexing – either de facto or de jure – the southern and eastern portions of the nation? It seems there are two options. 1. 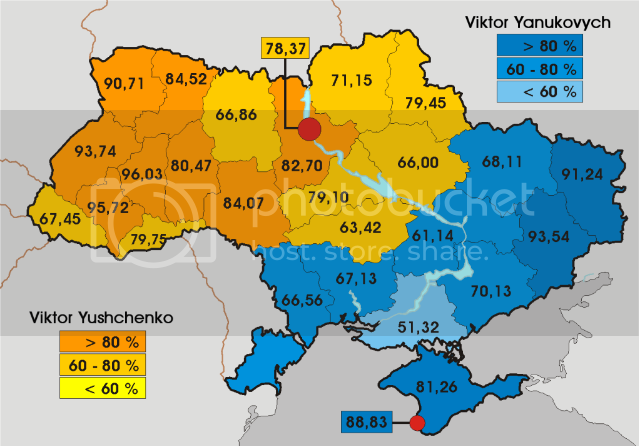 Secession – The first possibility is to let the two parts of Ukraine have an amicable (or at least non-violent) divorce. That’s what happened to the former Soviet Union. It’s what happened with Czechoslovakia became Slovakia and the Czech Republic. And it’s what happened (albeit with lots of violence) when Yugoslavia broke up. For what it’s worth, I’ve already suggested that Belgium should split into two nations because of linguistic and cultural differences. So why not the same in Ukraine? Heck, Walter Williams has argued that the same thing should happen in America, with the pro-liberty parts of the nation seceding from the statist regions. 2. Decentralization – The second possibility is for Ukraine to copy the Swiss model of radical decentralization. In Switzerland, even though there are French cantons, German cantons, and an Italian canton, the various regions of the country don’t squabble with each other because the central government is relatively powerless. This approach obviously is more attractive than secession for folks who think that existing national borders should be sacrosanct. And since this post is motivated by the turmoil in Ukraine, it’s worth pointing out that this also seems to be a logical way of defusing tensions across regions. I confess I have a policy reason for supporting weaker national governments. Simply stated, there’s very strong evidence that decentralization means more tax competition, and when governments are forced to compete for jobs and investment, the economy is less likely to be burdened with high tax rates and excessive redistribution. Indeed, we also have very strong evidence that the western world became prosperous precisely because the proliferation of small nations and principalities restrained the natural tendencies of governments to oppress and restrain economic activity. And since Ukraine (notwithstanding it’s flat tax) has a very statist economic system – ranking only 126th in the Economic Freedom of the World index, maybe a bit of internal competition would trigger some much-needed liberalization. P.S. If you’re intrigued by the secession idea promoted by Walter Williams, you’ll definitely enjoy this bit of humor about a national divorce in the United States. P.P.S. If you think decentralization and federalism is a better option than secession, the good news is that more and more Americans have unfavorable views of Washington. P.P.P.S. The tiny nation of Liechtenstein is comprised of seven villages and they have an explicit right to secede if they become unhappy with the central government in Vaduz. And even the statist political crowd in the United Kingdom is considering a bit of federalism.